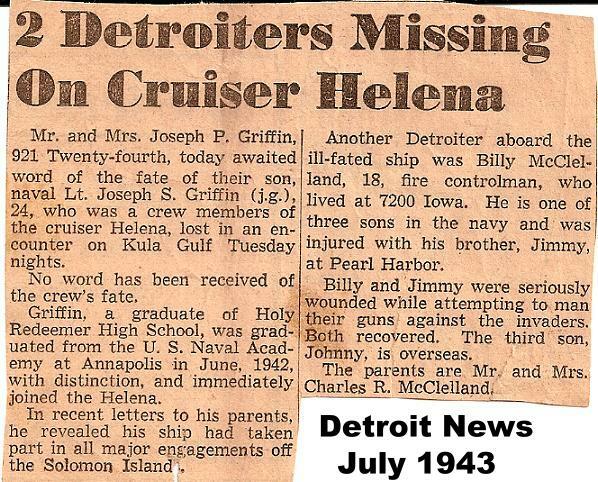 On the morning of December 7th, 1941, I ran through the ship, the Cruiser USS Helena, as the Japanese attacked from above. I was burned so badly when a torpedo struck his ship that he hardly recognized himself in the sick bay's mirror. December 7, 1941: Recovering in his rack from a night of revelry, I thought, "Not another drill" when the call to general quarters came aboard the cruiser USS Helena. But while running through the ship, which was docked in the Hawaii Navy yards, a torpedo hit the Helena and me, on the third deck above the engine room, I felt heat rush over my skin, but continued at a sprint toward my battle station. Along the way, an officer sent me to sick bay. Seventy percent of my body had been burned. I liked the Navy and enjoyed the whole thing, except the raid. I don't think you can imagine what it's like to go through that. All those who survived consider themselves lucky. I almost died. In the sick bay, I found "a horrible site." My shipmates stood in line for care, many severely wounded and bleeding. I began looking far a mirror so I could see my face. I had already seen the skin hanging off my arms. Even though corpsman told me not to look, I found a mirror and barely recognized my image. My face was black, my hair was burnt off. I was told to sit down, but I sat on the edge of my chair because it was my back and legs that were burnt the most. Eventually I got some pain medication and blankets to ward off the chill that was beginning to make my body quake. After awhile all those who could walk were told to head for the hospital. One of my friends caught a ride to the hospital before I did. But he died. I remember him as my friend Mayo. There was strafing from the planes and he got hit. I made it through. And I was in the hospital for a long time. My burns got infected. My face was the first to heal, but I have scars all over my body. To see a recent picture of Jim, HERE. To see Jim's photos, click HERE.